I never write about politics. I never write about religion, I’m an agnostic. I abhor fanaticism in every way, and religious and political fanaticism in particular. I do believe however in everyone’s fundamental right to believe. I profoundly believe in everybody’s right to disagree, to voice discontentment, to protest, to use words, cartoons and satire as means of expression and as an intellectual weapon. I do believe in the power of dialogue, in the freedom of speech, in the freedom of expression. I can’t accept a world or civilization where machineguns and senseless violence tries to win a moral or intellectual battle. 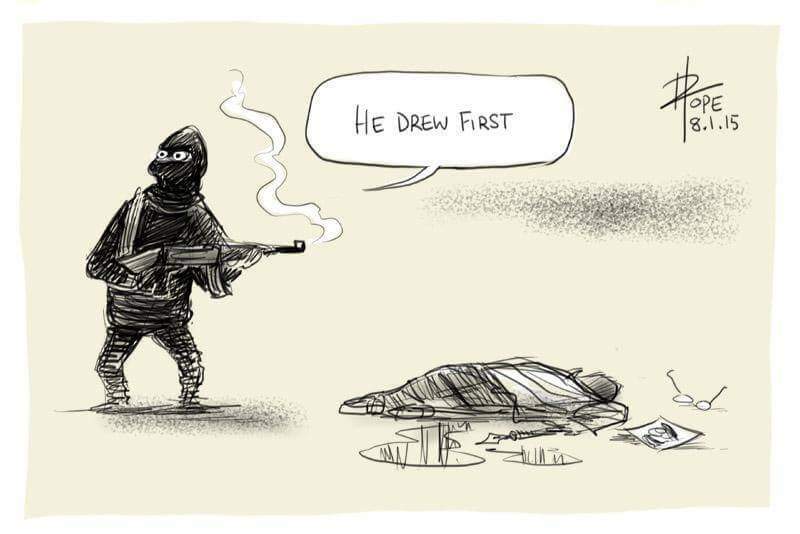 I can’t see any reason why satirists Cabu, Charb, Tignous, Wolinski and their colleagues had to die.